GABLER Thermoform – Thermoforming machines "Made in Germany"
Thermoforming systems "Made in Germany"
First-class thermoforming machines, additional components and accessories for the production of plastic packaging for the foodstuff industry: That is what GABLER Thermoform stands for. We are a globally leader producer of thermoforming machines for the production of plastic packaging in the thermoforming process. As a specialist in thermoforming technology, we develop and produce thermoforming machines, whose quality, performance and reliability set standards internationally. 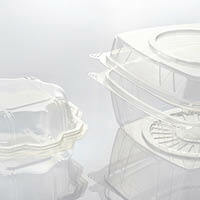 We offer our customers specific and matching solutions for every packaging task. It is our policy to offer a broad range of machines including handling systems and accessories, comprehensive services and closeness to the customer. Our range of models stretch from the compact single thermoforming machine through to large complete systems in the closed-loop process, in which products pass through all steps from raw materials through to ready-packed transport units. 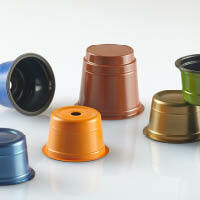 The thermoformers from GABLER Thermoform are suitable for the most varied applications. Whether drinking cups with a crimped rim or cups for foodstuff packaging – we have solutions for cups of all kinds and sizes. 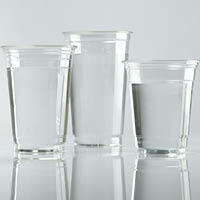 Either in large-scale series production or flexible small series. 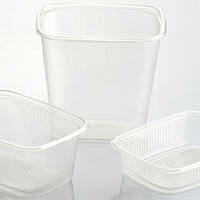 Lids of all shapes, sizes and made of plastic materials can be produced with our thermoforming systems. And of course with an exact high accuracy of fit. For the production of bowls, GABLER Thermoform machines guarantee high precision and flexibility for the most various forms. 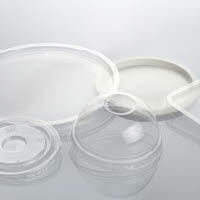 As a combination of bowl and lid, clamshell packaging makes demands on production. Our machines offer convincing answers. Particularly high precision and consistent shape number among the requirements for the production of coffee capsules – with our machines no problem. 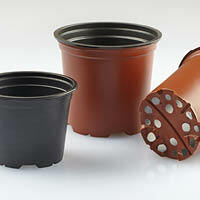 Our thermoformers produce plant pots made of plastic in all shapes and sizes. We offer a broad range of thermoforming machines for the most varied applications. Upstream and downstream additional components and accessories for automation are also included in our product portfolio. Our series of machines with tilt-bed technology: optimised for the production of all kinds of cups – in volumes of medium and large quantities. The ultimate multi-station machine: flexible and with strip steel technology – and thanks to modular construction, suitable for every demand. Our thermoforming machine with a broad range: the name says it all – three versions for loads of productivity. The flexible automatic thermoformer: unique, fast tool-changing and a real all-rounder – ideal for manufacturers with a high product diversity. Flexible, high-performance, perfect fit: with add-on components from GABLER, thermoforming reaches a totally new level of efficiency. With our special solutions for automation we help you to optimise your production process – from granulate through to the transport carton.